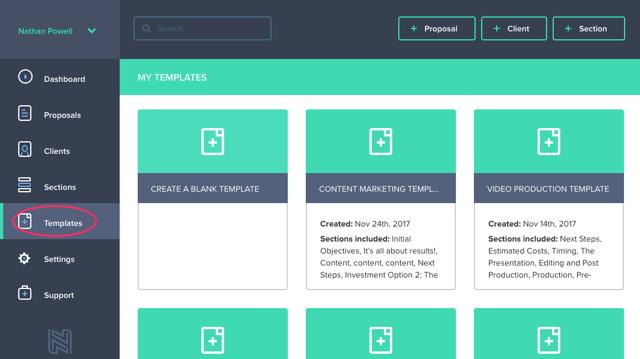 Save time by creating templates for future proposals. Templates, much like Reusable Sections can save you a huge amount of time when it comes to writing a new proposal. To create a new template firstly create a proposal. While in proposal edit mode click on the Save as Template button. This will open a popup asking you to name your new template. 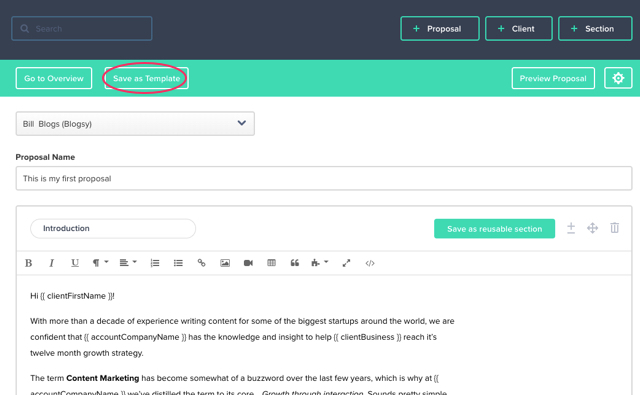 Once saved you'll be able to access your new template from Templates, which you'll find in the left-hand static menu. Whenever you need to use this template, simply select it from your templates list and you're ready to go! If you have any questions, just ping us below. We'll be happy to help!